In 1999 the smart City Coupe was introduced in Europe. This small 2-seater car was designed to be used in heavily-populated urban areas. 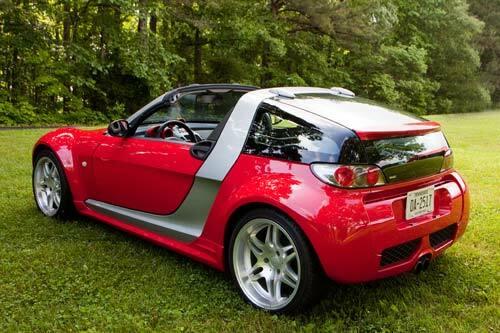 Smart decided in 2000 to expand its line of cars, and showed a concept of the smart Roadster at the 2000 Paris Motor Show. Smart Roadster production finally started in 2003, and initial sales were very strong. 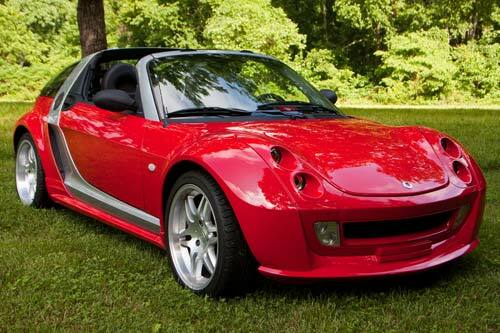 The smart Roadster was developed to compete with the Mazda Miata and MG F. The advantage of the smart Roadster was that it offered similar performance as its competitors but was more fuel efficient. The Roadster suffered very high warranty costs, and this led to Smart stopping production of the car in 2006. This example you see here is a version hopped up by the German tuner Brabus. It has a more powerful engine and larger wheels than the standard Roadster.